Your siding makes up a large part of your home’s exterior and is one of the key features that dictates the entire structure’s curb appeal. 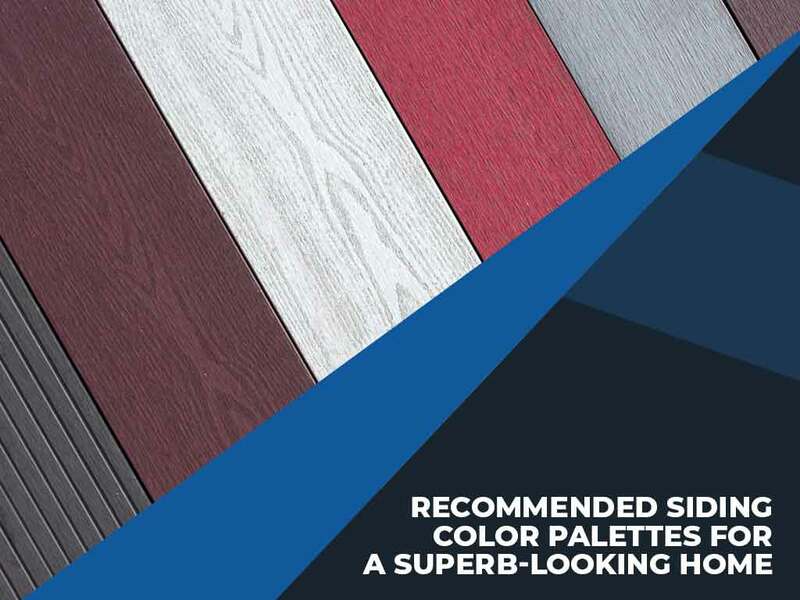 If you want a good-looking home, you need to pay attention to how your siding will look – especially the color. The appearance of your home’s siding relies on two main factors: texture and color. While texture also plays a role in giving your home its characteristic look, most people will consider the color as the bigger factor. It’s easier to enhance the look of your siding just by changing color than it is if you go for a different texture. This is why home designers recommend a few tested color palettes for you to try out. Homes with impressive fences and landscaping tend to divert a viewer’s attention to the plants that surround the house. When viewed from the sidewalk, blue or green-colored siding can serve as the perfect backdrop for the vegetation, making your home seemingly blend with the rest of your property. Many traditional home designs favor the warm colors reminiscent of timeless European or Mediterranean home styles. Reds and browns on siding (especially those made to resemble brick walls) add a cozy, rustic charm to a home, especially paired with neutral-shaded roofs and trims. It’s possible to modernize even the most traditional home designs with the proper use of color. Using neutral-toned siding that favors grays and whites matched with equally subtle tones for the roof and trim is very popular among homes. Find the right color palette for your siding with help from the pros. Signature Exteriors is the leading provider of siding products and services in Connecticut. Contact us at (866) 244-8029 or fill out our contact form for a free estimate.